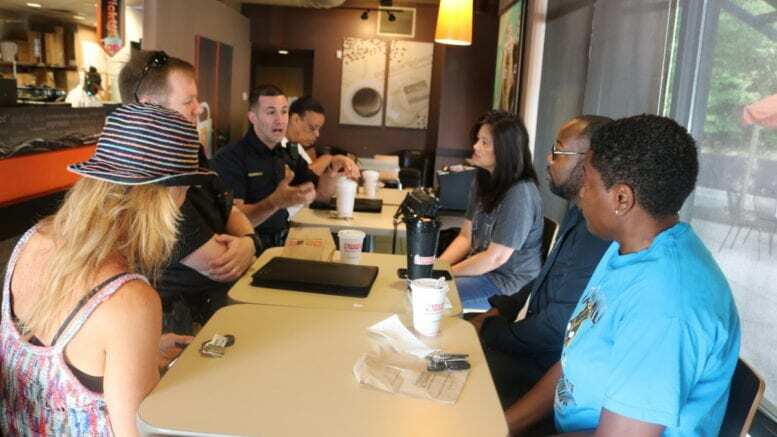 Officer Nathalie Jegg of the Cobb County Police Department provided the schedule for upcoming Coffee With a Cop events, including the Oct. 3 events scheduled for National Coffee With a Cop day. Coffee With a Cop gives Cobb residents an opportunity to meeting with local police officers in a relaxed and informal setting. More information, including information about National Coffee with a Cop Day, can be found at the website of the effort here. Be the first to comment on "October 3 National Coffee with a Cop Day"